There are rides with steam railroads all over the world, but usually only on special occasions. This is quite different in Saxony where trains travel four narrow-gauge lines every day using steam. The “Lössnitz Dachshund” and the “Weisseritz Valley Railroad” both depart from near Dresden. Another railroad connects Zittau with the Zittau Mountains. 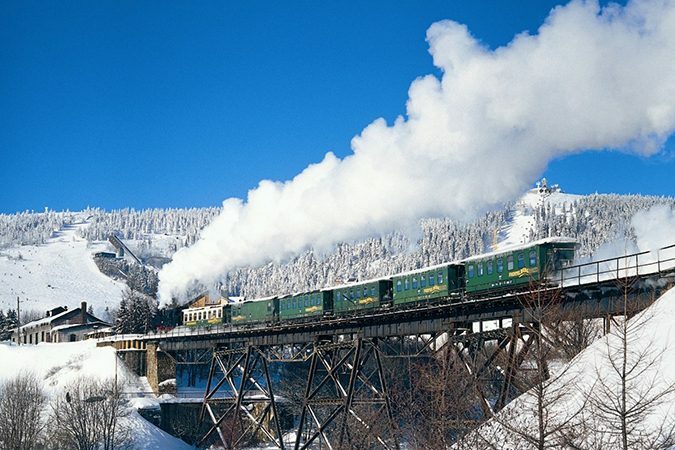 The Fichtelberg Mountain Railroad climbs up to Oberwiesenthal, Germany’s highest town and Saxony’s prime winter sports resort. 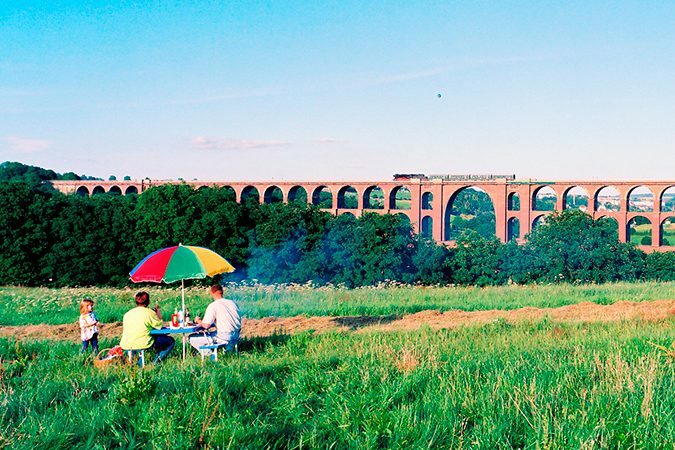 Saxony is a true paradise for railroad fans, with many museum trains, events and railroad museums. Located between Dresden and Leipzig, the picturesque town of Döbeln operates the only remaining horse-drawn tram on Germany’s mainland. 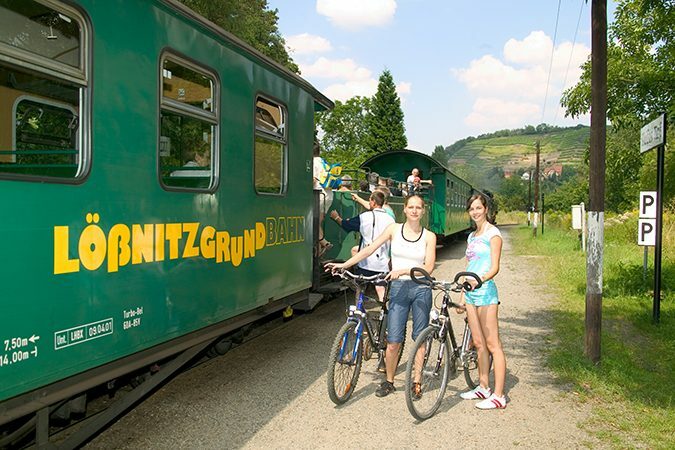 Regular rides and special trips offer visitors the chance to be transported like two centuries ago when the tram was built to connect the town with the railroad station. 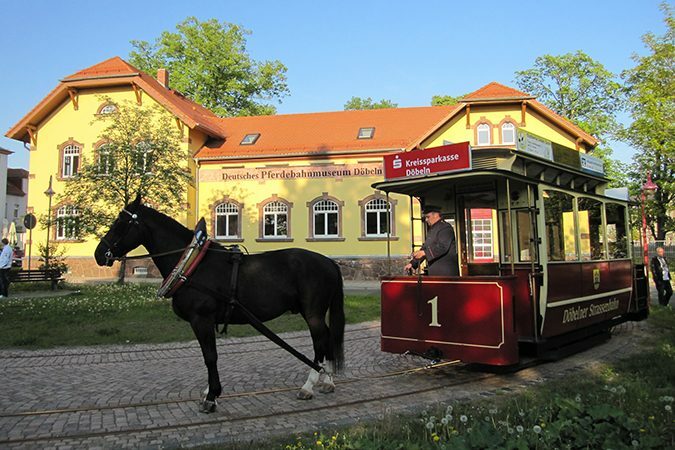 In addition, the history of horse-drawn trams can be learned about in the German Horse-Drawn Tram Museum which also serves as the depot. Since 1898, the Kirnitzsch Valley Tramway has been operated solely for the purpose of taking tourists from Bad Schandau to the Lichtenhain Waterfall in the Saxon Switzerland National Park. All the stops have connections to hiking trails into the bizarre rock formations of the Elbe Sandstone Mountains. At the Lichtenhain Waterfall, the “waterfall officer” has been opening the weir every 30 minutes since the 19th century to transform the usual trickle of the water into a brief but majestic torrent. The people of Dresden found an unusual solution to connect the districts of Loschwitz and Oberloschwitz, as the latter was about 100 meters higher. In 1901, the first mountain suspension railroad in the world went into operation, still the only one of its kind and still in daily operation. 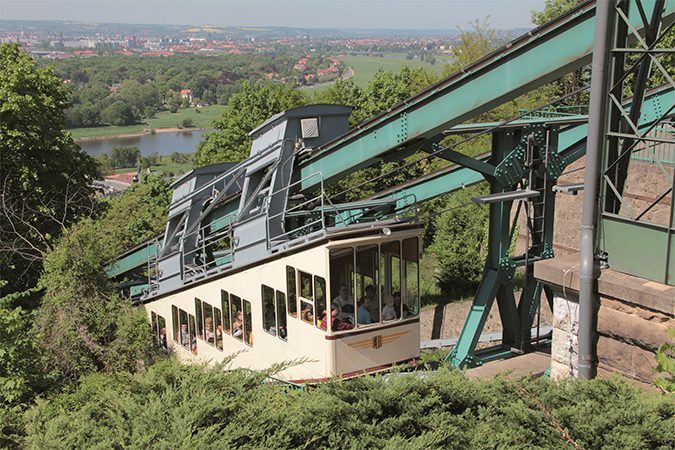 From the observation platform of the summit station, where the powerhouse can be visited, one can enjoy a beautiful view of Dresden’s Elbe Valley.